Track expenses, customise invoices, run reports and even more all from one place. Single Touch Payroll compliance built in, powered by KeyPay. Customer Service Institute multi-award winners. Hello organised It’s simple to keep everything in one place. Then invite your accountant so it’s easier to work together. Free up time Sync us with your bank and favourite apps so your books are always accurate and up to date. Claim every dollar Claim every entitlement at tax time with photo proof of your receipts. Award winning support As a QuickBooks customer, you'll come to expect the highest quality customer support. Stand out from the crowd with customised invoices. Know as soon as they're viewed and paid online. 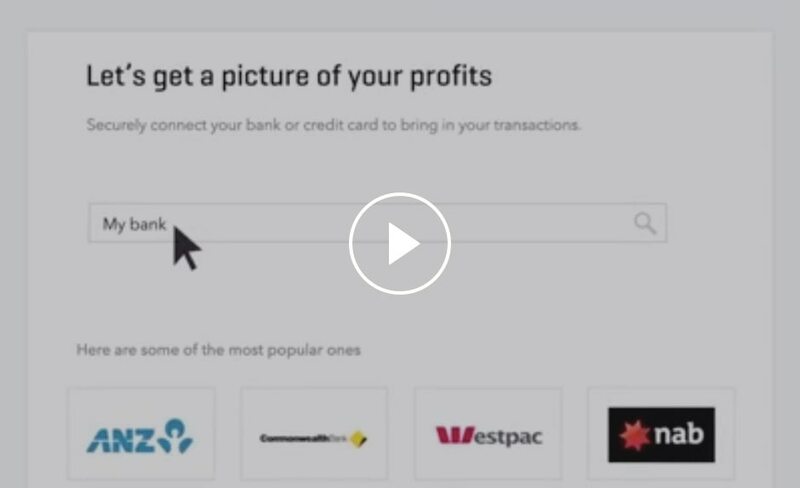 Start sending invoices with a 'Pay now' button. Take instant online payments by credit card, debit card or Paypal. We'll do the maths and stay on top of ATO requirements to help keep your payroll on time and Single Touch Payroll compliant. We'll keep a photo record of every receipt so you're always organised for tax time. Say goodbye to that shoebox full of receipts. Easily track the GST you pay and charge. And take the pain out of preparing your BAS with an automated BAS summary. See how your business is doing with a range of popular reports. Or customise one to include details that matter to you. Do you drive for work? Say goodbye to logging all your trips by hand and let us do the tracking for you. I want a mobile app with just the basics. I want more powerful tools to do my books. Help me choose the right product for me. 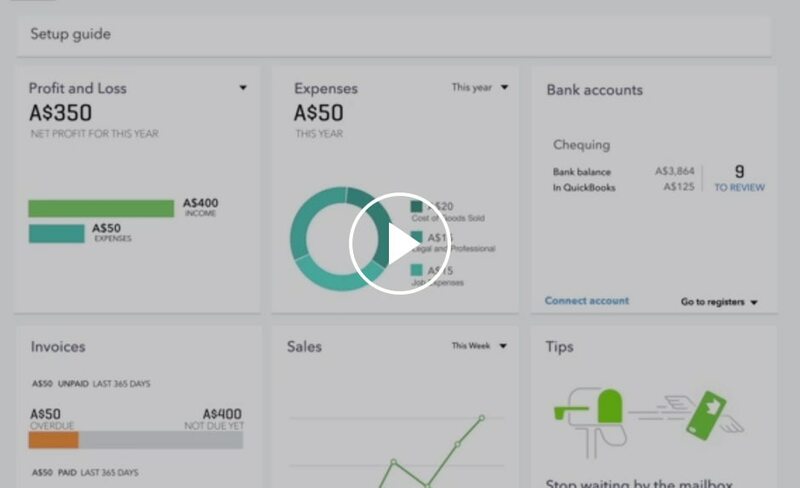 Learn where to go to create common items and other QuickBooks features. You can import customer contact info from a spreadsheet or from your phone. 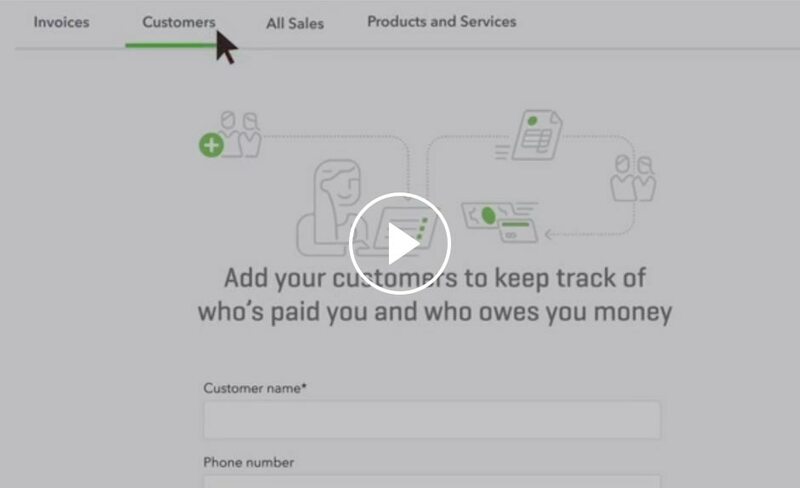 Learn the ins and outs of creating and sending invoices in QuickBooks. Eliminates tonnes of data entry and keeps your buisness's books up to date all the time.